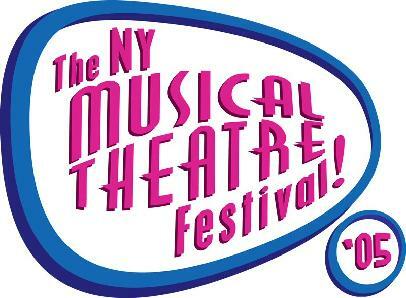 THE 6 WOMEN WITH BRAIN DEATH CAST FOR NYMF! 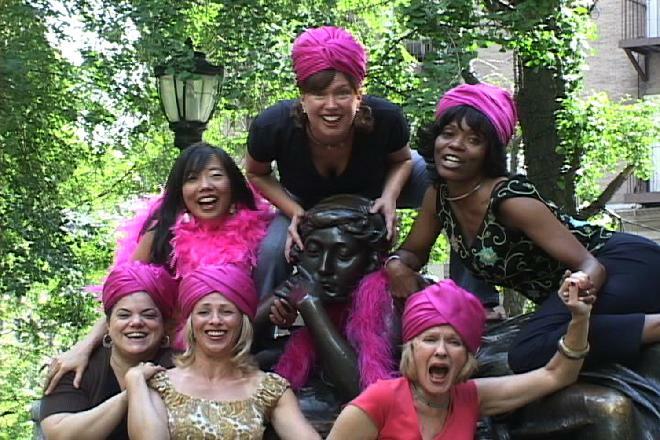 Valerie Fagan, Cheryl Alexander, Joy Franz, Leisa Mather, Amorika Amoroso & Pearl Sun. Overweight Prom Queen Candidate Loses Crown! Housewife Keeps Severed Head On Cake Plate! Bambi Goes Haywire in Forest With Uzi! To the expiring mind of a modern American woman, life can read like a tabloid headline. A fast-paced, take-no-prisoners satire of life and pop culture, the award winning musical �6 Women with Brain Death or Expiring Minds Want to Know� is a wild and very left-of-center view of the world from an entirely feminine standpoint. In a series of bizarre but hysterical songs and sketches, the authors explore road rage, self-help books, TV soap operas, �genuine press-on nails,� Barbie and Ken�s secret fantasy life and what �is� and �is not� feminine � with an unforgettable detour through a meadow where Bambi goes haywire in the forest with an Uzi. This cult hit slams into New York after successful regional productions and winning over the Edinburgh Fringe. This rock musical review spares no one in its insightful and hilarious takes on the demented pop culture of our great Nations: Welcome to the world of expiring minds! "This musical comedy has been a smash hit in the States since its first production in the late 1980s, yet this is the first time it�s been performed in Europe. Why has it taken so long?" "It is not a play," said Schultz. "It is not like anything else in this town, which is why it keeps going. It never gets boring." Schultz will celebrate the show's unprecedented run during October, highlighted by a nearly sold-out anniversary party Saturday. By the end of the month, "Six Women" will mark a milestone 1,000 performances. "Who would think you could run anything in Sacramento for five years?" said Leland Ball, producing director of California Musical Theatre and a longtime leader in Sacramento's theater community. "('Six Women') turned theater around here. It made us conceive of the long run. Now we know it's possible." "Six Women" is a word-of-mouth success -- Schultz does little advertising -- and some of its most ardent female devotees have seen it as many as 20 times. "You wonder why people come to this show over and over," Schultz said. "A woman with cancer, in hospice care, has seen it a dozen times. She has no idea if she'll be alive a week from now, and she said to me, 'This is a blessing. I come here and laugh so hard that it lasts me a week.' Women drag in other women: women with cancer, widows who've just lost their husbands, women with horrible things going on in their lives." "This show allows you to laugh at yourself, to laugh at life," Schultz said. "It's hard, but you have to keep your sense of humor. After September 11th , the cast didn't think they could do (the show). I said, 'It's our job.' This show is meant for state workers, and I don't mean anything by that. It's meant for the common woman, and that is so much Sacramento."